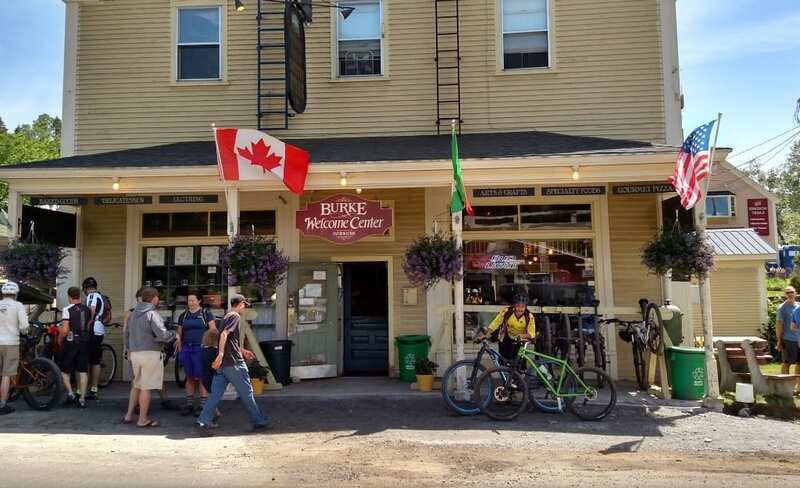 When the snow thaws out and the only cold thing you’ll find in the area is craft beer, it’s time to head north to Burke, Vermont. The Kingdom Trail system consists of 120 miles of trails that cover the entire spectrum of trail type: rocky, steep, narrow, wide, easy, and difficult. They are managed by the Kingdom Trail Association, a non-profit organization fueled by association members and community supporters. Without going hyperbolic on you, it’s fair to say that these trails are some of the best you’ll find anywhere in the United States; especially if we’re talking more narrowly about the Northeast. Not surprisingly, these trails get a lot of love and are affectionately referred to as the “king of the Northeast trails.” Even though this write up focuses on summer cross county and downhill biking, there are plenty of other Burke activities to be had in the winter from winter fat tire biking, snowmobiling, cross country skiing and snow showing. The Kingdom Trail network is large enough to keep you rolling for at least a full weekend of riding–perhaps even a full week. Contrary to what you might have thought, you do have to pay to use these trails–currently $15 per adult rider and $7 for riders 15 and under. I wouldn’t lose sleep over it though since the money supports trail maintenance and improvements. The Kingdom Trails are mostly fast, smooth and flowy, which makes it a wonderful place for beginner and intermediate riders. 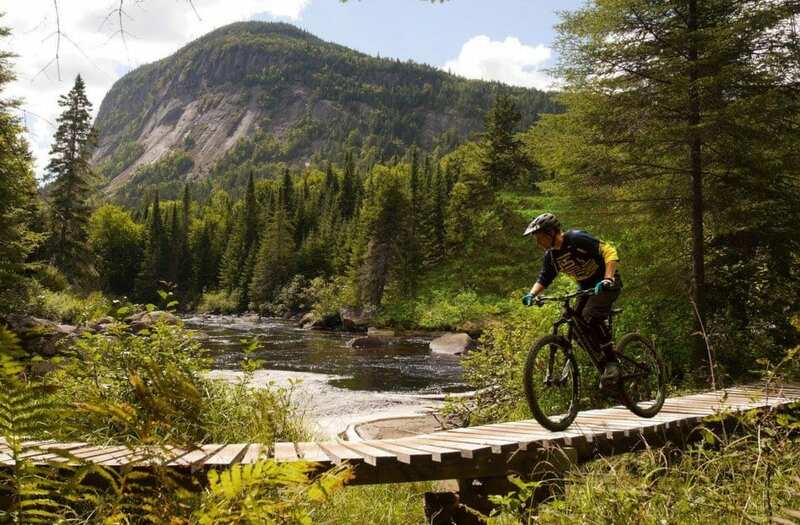 However, don’t be fooled by the accessibility of the trail system; many of the trails include large berms, optional jump lines, wooden bridges and any number of creative features to keep more adventurous cyclists on on the edge of their seat. Even though most of the trails are perfectly suitable for beginner and intermediate cyclists, the more advanced trails (black diamond) typically include more roots and rocks. If your plan puts you on those trails more than the heavily groomed trails, make sure you bring a full suspension bike as opposed to a hard tail. Most importantly, be extra careful when the trails are wet since that often creates a more slippery run and results in less-than-ideal outcomes. What this all amounts to is that regardless of your level, you’ll find enough options to keep you smiling. Do keep in mind that this isn’t a “chair lift powered” downhill mountain bike park, so be prepared for periodic pedaling as you climb hills. After you arrive, purchase your pass(es) at the Kingdom Trail welcome center and ask the staff to walk you through a riding plan for the day. The staff will equip you with a much-needed map and do their best to match your rider level with an itinerary. Thankfully, all trails are well marked with signs indicating difficulty level and most are interconnected and accessible via the main parking lot. Darling Hill holds the majority of singletrack trails, which are well-known for their beauty and woodsy backdrops. Some of the must-visit trails are: Tap n’ Die, Sidewinder, Troll Stroll, Kitchel, Tody’s Tour, Coronary Bypass, Pines, and Webs. Darling Hill Trails are open early May and close October 31st. Burke Mountain is the home of the majority of intermediate and advanced riders. Some favorite trails on Burke Mountain include Dead Moose Alley, Camptown, Lower J-Bar, Moose Alley and Burnham Down. In addition to the Kingdom Trail Welcome Center, you should stop at East Burke Sports if you need to rent or repair a bike. Village Sport Shop also offers bike rentals. Don’t forget that the Kingdom Trail closes trails from time to time, so you may also want to check on trail closer status before you hit the dirt. Compared to trail rating systems like Sunday River, where a black diamond equates to an advanced rating, the black diamonds on the Kingdom Trail are manageable; but don’t forget to take it easy whenever you ride a trail for the first time. You can find parking for the trail system in a large gravel lot located in downtown East Burke. Thankfully, this same lot is also where you’ll find Mike’s Tiki Bar (more on that later). Don’t forget to bring your water bottles and the best bicycle socks you can find. Try the Loop Trail. If you’re biking with kids, we highly recommend the trails listed below. Take Herbs Trail to East Darling Hill Road, where you will ascend to the top of the ridge with a vigorous climb. Take Loop Trail clockwise, which will take you to Troll Stroll, one of the best descents you’ll find on the KT. Take Troll Stroll to the bottom and hop on River Run. Once you reach the Burrington Bench trail, climb it to the Bemis Trail. Take the Bill Magill Trail east and then north until you hit the Pines Trail. Take Pines, which is another fast descent (be careful). Take a left at the bottom to ride Riverwood Trail and then take the Beat Bog Trail northbound. At the end you’ll find yourself at the top of Kitchel. Ride that back to East Burke. East Burke is a sight to behold. Surrounded on every side by trees, water and flowing mountains, one might believe that God designed this small corner of the world just for outdoor enthusiasts and cyclists. Like parts of northern Maine where snow mobiles outnumber cars, you’ll see mountain bikes everywhere as you saunter through town. It will all make sense if you have the food fortune of spending some time taking in the Kingdom Trail experience. With more than 100 miles of interconnected bicycle trails, one might argue that the Kingdom Trail biking experience represents the crown jewel of our country’s mountain biking options. As we mentioned earlier, all roads (or trails) seems to start at the Kingdom Trails Welcome Center, located in the middle of downtown. This is where the majority of visitors rally the troops, refine place to buy a day pass, get a map, and enlist help with plotting out a good route. Rental shops nearby can outfit riders from helmet to bike. But with such a large network of trails, where do you even begin? Below we’ve compiled great rides for every level (each about two hours), as suggested by Collin Daulong, co-owner of the tour guide and instruction company Kingdom Experiences. 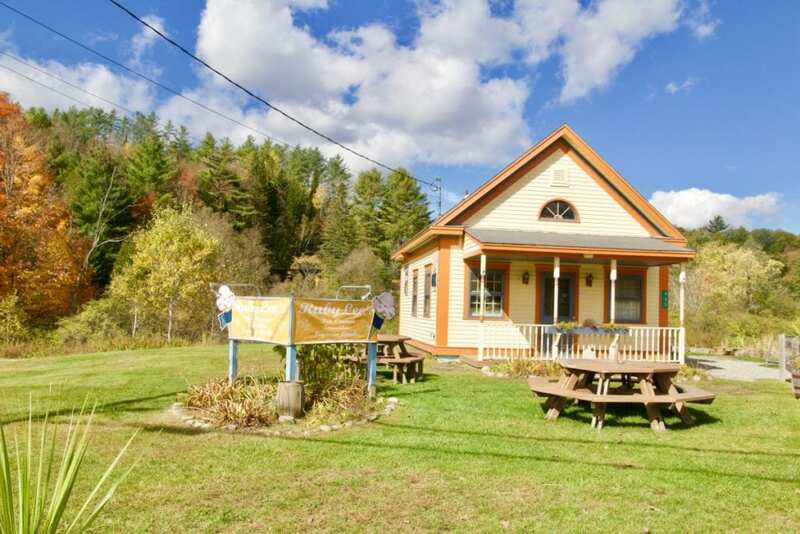 There are a lot of solid food options in Burke and East Burke Vermont. 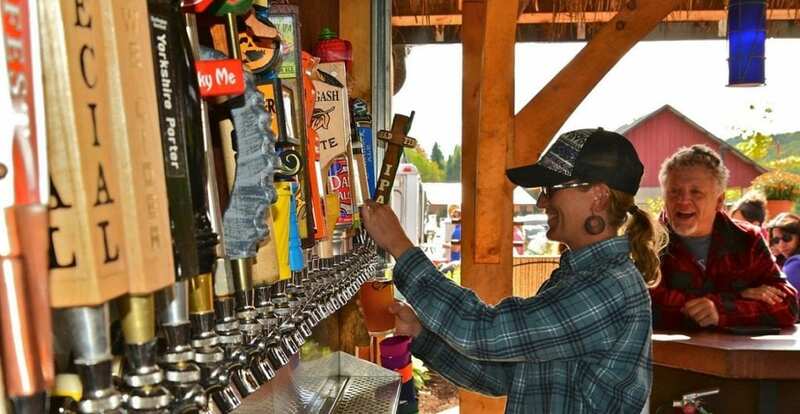 The most important option based on its ideal location (base of the trails and adjacent to the parking lot) and amazing beer options is Mike’s Tiki Bar. The Foggy Goggle Osteria is the place to go for a seriously good Italiian meal. Rated number one by Tripadvisor, this is a popular location for a reason. Cocktails, creative pizzas (smoked trout pizza anyone), local beer on tap and a high-end list of dinner entrees make this a go-to location post outdoor adventure. It’s not an unusually large restaurant, so definitely make reservations ahead of time if you’re planning to eat there on a weekend. Lotti. It’s on main street in downtown East Burke where the East Burke Yacht Club used to be housed. The interior has been comfortably outfitted with chairs, couches and books and and the walls are covered in art. 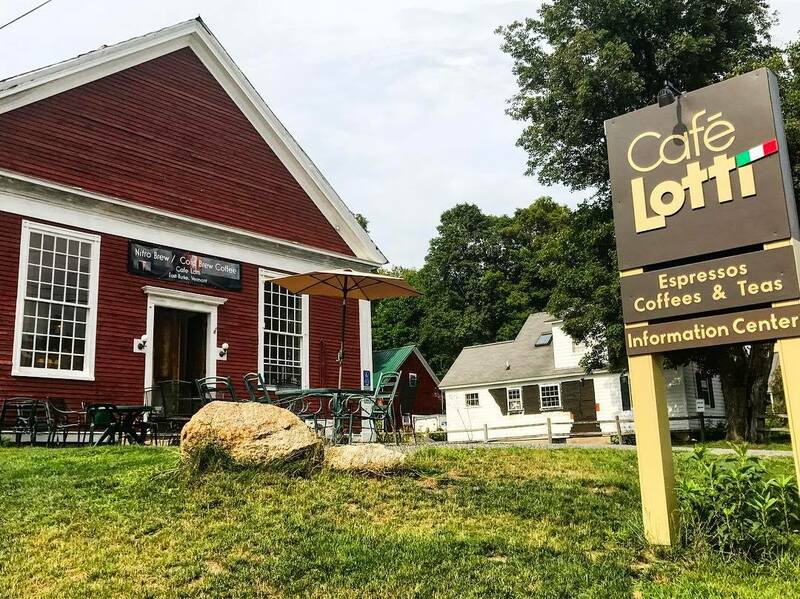 You’ll find espresso drinks, breakfast sandwiches and other goodies at a fair price. Family-owned RubyLee’s serves more than 20 varieties of ice cream, five unique types of sundaes, homemade ice cream cookie sandwiches, smoothies, and–wait for it—a maple bacon razzle blended with real bacon pieces. Rubylee’s location along the river is ideal and if the other options don’t ring your bell, try the maple soft serve ice cream. Although Auntie Dee Dee’s isn’t a restaurant, it deserves to be included in this list. A converted garage, you’ll find pecan coffee rolls, chocolate croissants, pumpkin bread squares and piles of other treats. 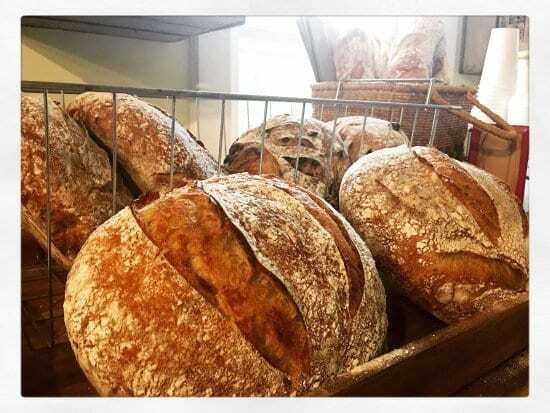 Just don’t linger since the majority of the baked goods sell out quickly. 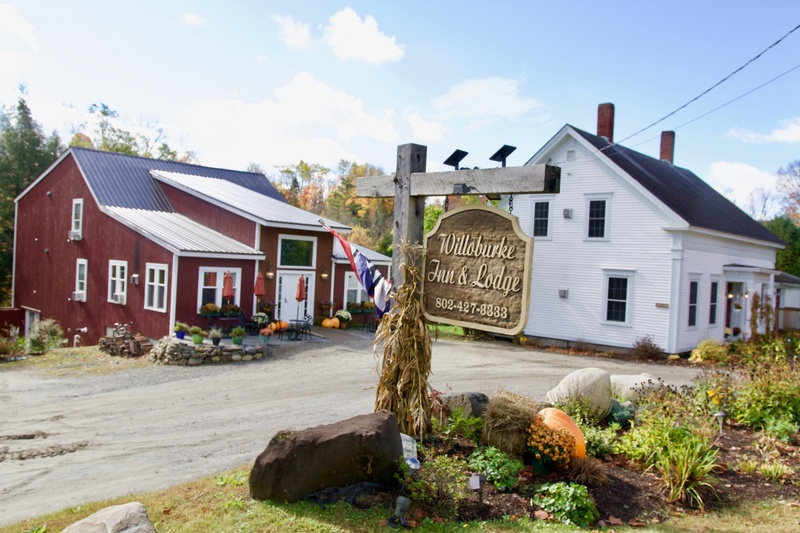 Located on a beautiful property next to Dish Mill Brook and just up the hill from the Kingdom Trails Welcome Center, the Village Inn of East Burke is a great escape at any time of the year, with its full complimentary breakfast, guest kitchens, hot tub, and range of guest room options. 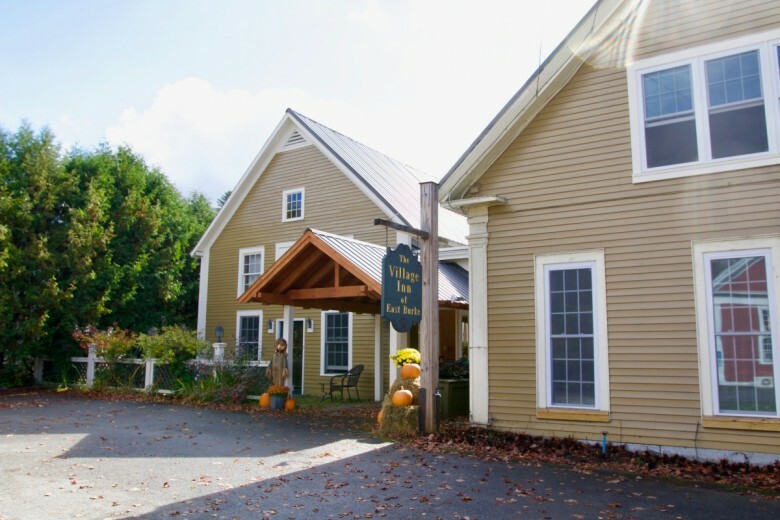 Every contemporary-style room in this inn has locally crafted furniture and all the amenities; depending on the room, there could also be a balcony overlooking the five-acre property, which has gardens, pathways, a wooded area, and a brook. The Willoburke offers a great respite after a long day outdoors, but should you also want to explore, downtown East Burke is only a stroll away. Located right off a popular part of the Kingdom Trails network, the Wildflower Inn is convenient for those looking for immediate access to adventure. 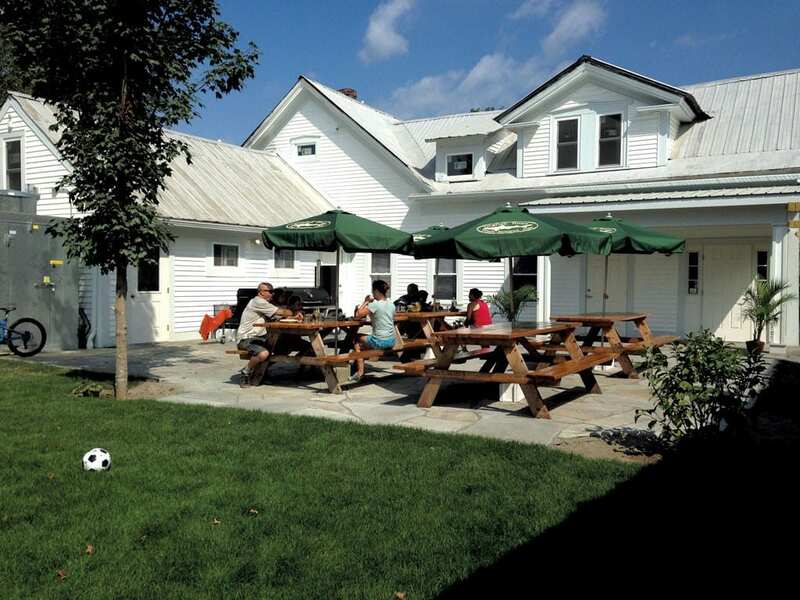 Plus, its hillside property offers stunning, quintessentially Vermont views. 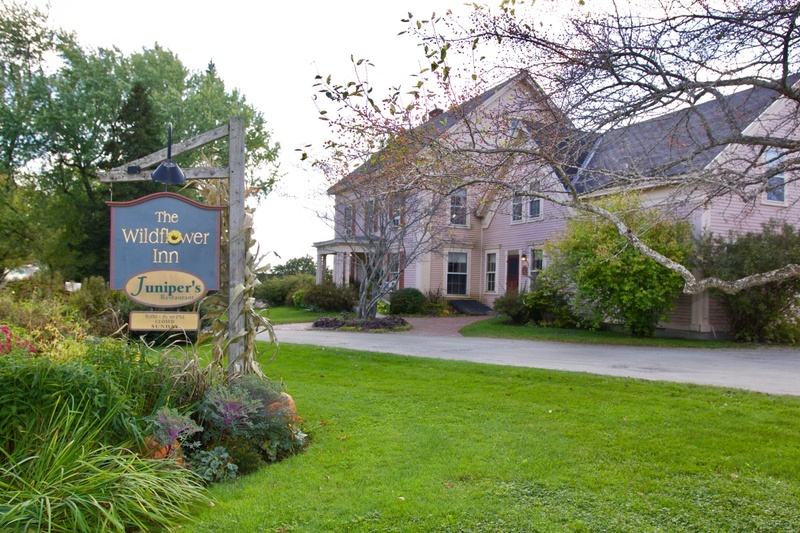 Start the day off with a pile of the inn’s famous blueberry pancakes, and end it with a meal at Juniper’s, the on-site restaurant. 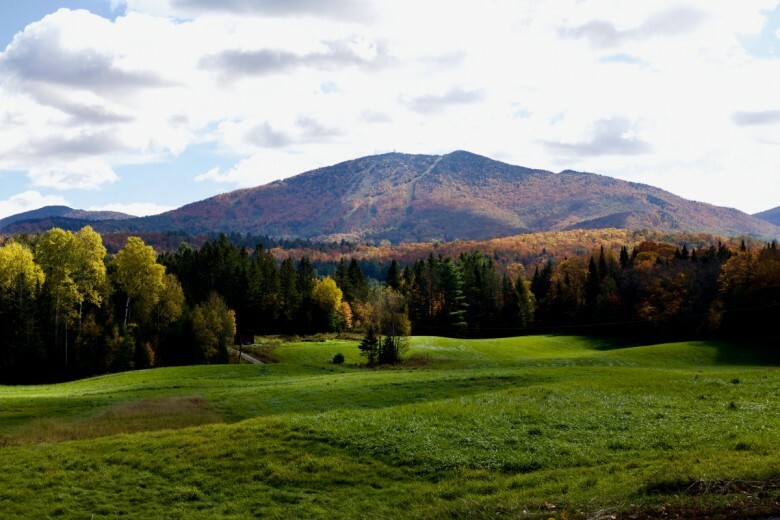 East Burke’s namesake mountain offers year-round activities, from mountain biking on more advanced trails in the spring through fall to skiing and boarding on 178 acres and 36 trails in the winter. 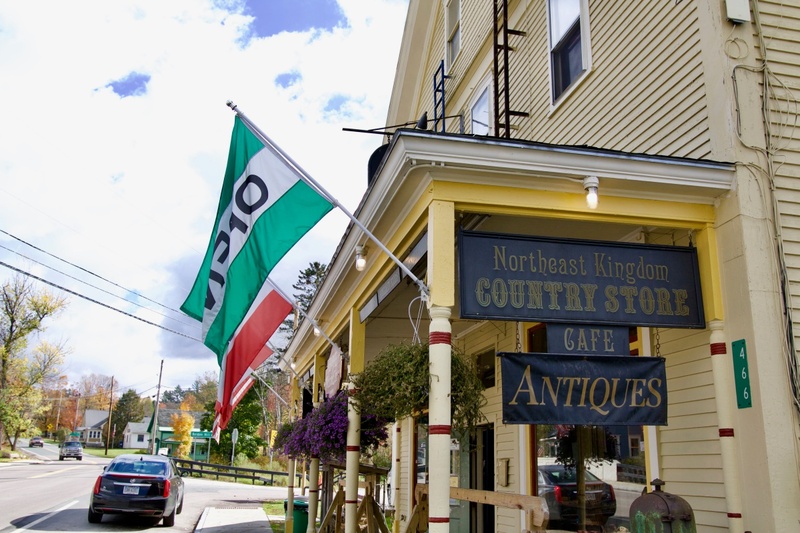 Grab a snack at the café and peruse Vermont country crafts, antiques, prints, pottery, and other assorted goods at this local landmark in the heart of downtown East Burke. A 30-minute drive from East Burke brings you to a beach looking out to Lake Willoughby, a stunningly blue glacial lake up to 320 feet deep in some areas. Framed by Mount Pisgah to the east and Mount Hor to the west, this picturesque scene is worth taking a drive to see.